It's a big night. 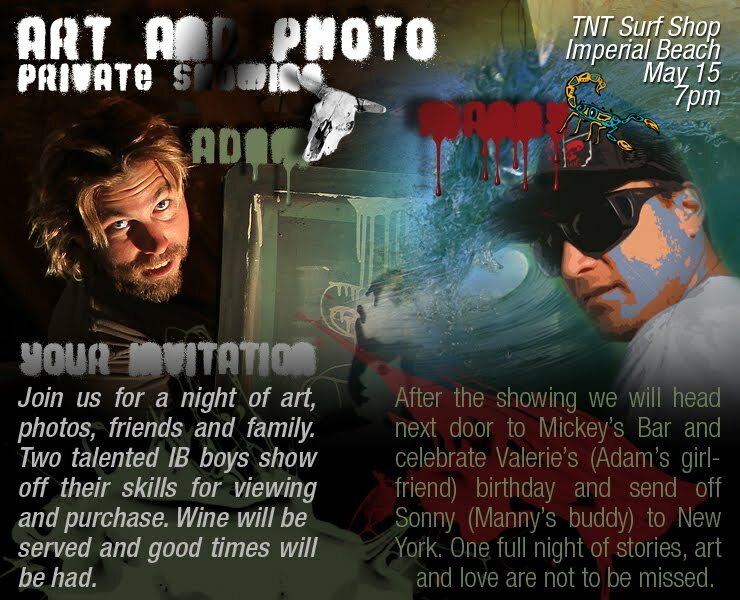 Hope you can make it out to the TNT Surf Shop Art and Photo Show tonight. Like to come?